Independent producers continue to be an important part of our nation’s energy past, present, and future. Independents are the people who are developing America’s oil and gas resource base. Independent producers drill 90 percent of domestic oil and natural gas wells, produce 82 percent of America’s natural gas and 68 percent of America’s crude oil – more oil if the survey did not include Alaskan North Slope oil production. With the increase in Utica Shale activity in Ohio, major oil and natural gas companies are expanding and establishing roots within our state. These companies have explored for oil and natural gas in various shale plays within our nation, offshore, and even internationally. These companies, along with Ohio’s independent producers, continue to look for ways to improve and expand Ohio’s proven crude oil and natural gas reserves. 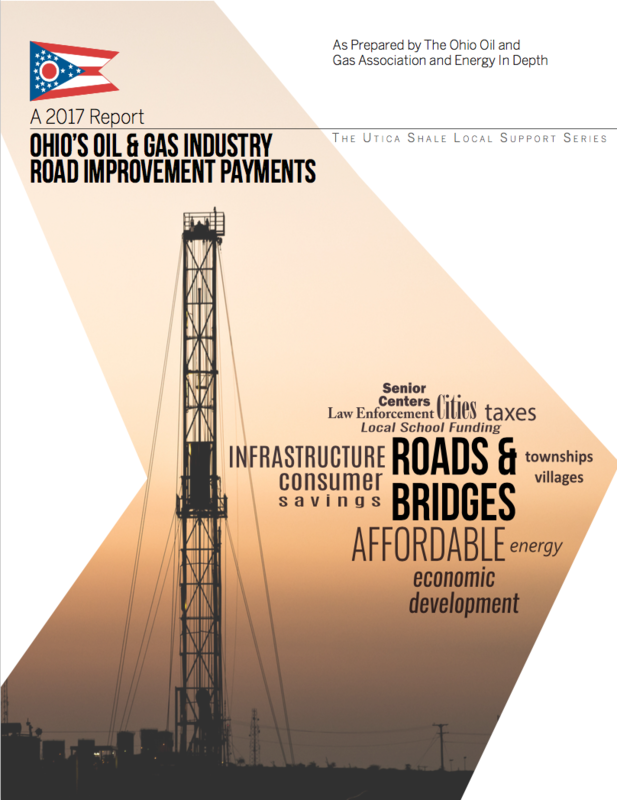 In its second report The Utica Shale Local Support Series: Ohio’s Oil & Gas Industry Road Improvement Payments, the upstream oil and natural gas industry has spent more than $300 million in eight Ohio counties from 2011 to the first quarter of 2017, and improved more than 630 miles of roads from these investments alone. This report takes a closer look at the history of the Road Use Maintenance Agreement (RUMA) and the execution of these agreements within eight counties spanning from 2011 to 2017: Belmont, Carroll, Columbiana, Guernsey, Jefferson, Harrison, Monroe and Noble. 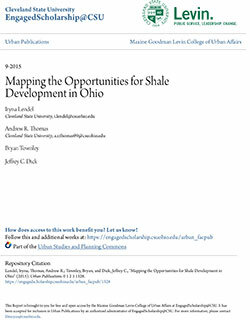 This report is the second of its kind in an on-going Utica Shale Local Support Series between OOGA and EID Ohio that collectively examine multiple ways in which oil and natural gas production directly benefits local schools, counties, townships, cities, villages and other vital local services and infrastructure. 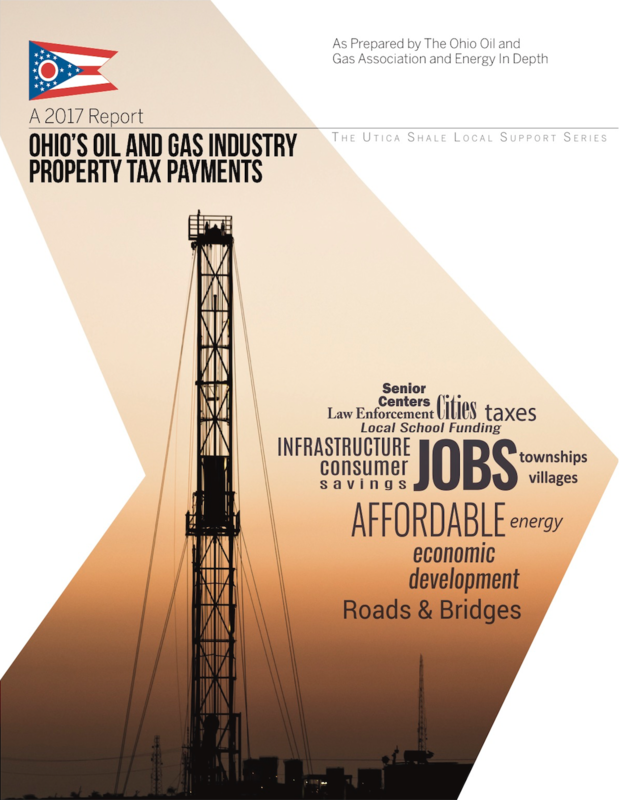 The Ohio Oil and Gas Association (OOGA) along with Energy In Depth (EID) has released its first white paper in The Utica Shale Local Support Series: Ohio Oil and Gas Industry Property Tax Payments report, highlighting that the oil and natural gas industry has contributed $43.7 million to six Ohio counties from 2010 to 2015. The report projects that over the next decade, $200-$250 million will be paid to these six counties alone. We encourage all of our members to read the report and distribute the findings among interested parties. Given the record-breaking oil and natural gas production in 2012 and 2013, it should come as no surprise that the real estate property tax revenue, officially referred to as an ad valorem tax, has climbed as result. Of the $43 million generated between 2010 to 2015 from this tax, 95 percent was a direct result of horizontal drilling activity in the Utica Shale. In addition, of the total receipts from all real estate property taxes collected in 2015, the ad valorem taxes from wells accounted for (on average) 24 percent of total revenue collected from all real estate property taxes for these counties. This is significant, as prior to 2015, the ad valorem tax revenues from wells accounted for less than one percent of total revenue from all real estate property taxes. Ohio oil and natural gas reserves are assessed and taxed as real estate, similar to property taxes paid on a residential home. All of the revenue collected from this tax goes directly to support the areas where the oil and natural gas is produced: counties, villages, townships, cities, and most importantly, local schools. Full Report: "The Utica Shale Local Support Series: Ohio’s Oil and Gas Industry Property Tax Payments"
Anticipated Production of Natural Gas in the Utica/Marcellus Basin Will Create a Surplus of Ethane in the Region by 2020 in Excess of the Take Away Capacity. Operating companies can now predict with considerable accuracy the nature and amount of production likely to be recovered from the region, and from each well. Among the most important insights gleaned from production to date is that certain areas of the Utica are rich in not only natural gas, but also natural gas liquids. Utica shale development presents new opportunities for Ohio companies to sell their products and services throughout the oil and gas industry supply chain. The best opportunities for supplying goods and services for oil and gas companies in Ohio exist in supporting the upstream (well field development) and midstream (building the pipeline infrastructure that connects the well field to processing plants) industries. While the anticipated downstream petrochemical and plastic manufacturing expansion may not provide immediate opportunities, the real prospect for commercial investments exist. The conservative scenario illustrated that about 20,000 direct jobs in construction and maintenance of upstream and midstream infrastructure will require training of leasing agents, environmental technicians, para-legal, GIS technicians, cartographers, roughnecks, rig movers, heavy equipment operators, frack crew members and general laborers. 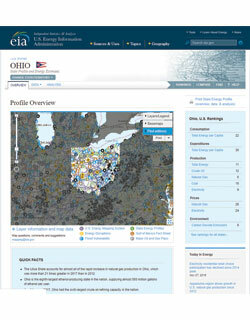 Utica shale deposits will be developed in Ohio over the next 20, 50, or even 100 years. However fostering upstream, midstream and downstream industries around Utica play will require skilled labor to produce and transform dry gas, NGLs and oil locally. Helping the education institutions and training programs to form close connections with the oil and gas industry and developing shale related training programs might stimulate local employment in already existing or new jobs in upstream and downstream industries. Shale Crescent USA which is comprised of Ohio, West Virginia and Pennsylvania is the third largest natural gas producer in the world behind the United States at number one and Russia at number two. The Shale Crescent USA has a pre-tax cash flow advantage of $3.6 Billion for a nearly $3 Billion investment in an ethylene/polyethylene plant. 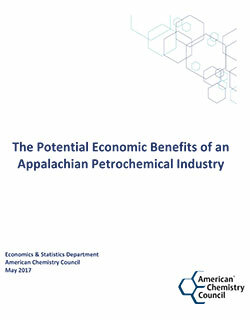 The cost of ethane is 32% lower and the the cost of polyethylene is 23% lower. 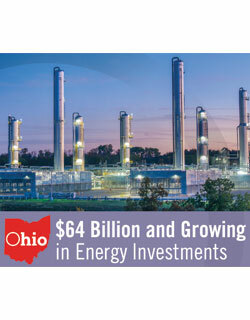 With more than $70 billion in energy investments, Ohio is a leader in the energy industry. Of this amount, $46.9 billion represented upstream investment. 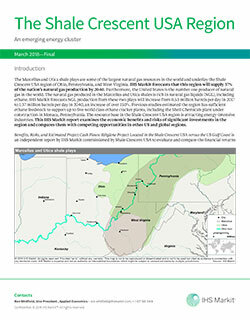 More than $18.8 billion has been invested in Ohio midstream activities. $3.6 billion in downstream investment since 2011. Ohio is home to much of the Utica and Marcellus shale plays, which have accounted for 85 percent of the U.S. shale gas production growth since the start of 2011. 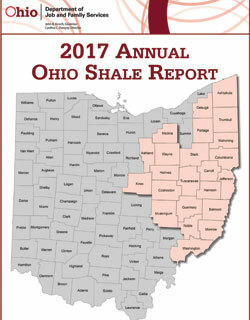 Employment increased in all but one of Ohio's five core shale related industries from 2016 to 2017. Oil and gas pipeline construction employment increased by 120.7% over the year. The number of Ohio jobs in core industries rose from 10,672 to 16,402. Overall employment in the core industries rose 53.7% a gain of 5,730 jobs. 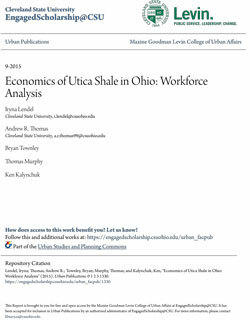 Employment in the ancillary shale related industries increased from 178,232 to 181,720. Among the key shale related occupations, 32 of the top 38 jobs had a medium annual wages above the state median wage of $36,500. The Utica Shale accounts for almost all of the rapid increase in natural gas production in Ohio, which was more than 21 times greater in 2017 than in 2012. Ohio is the eighth-largest ethanol-producing state in the nation, supplying almost 550 million gallons of ethanol per year. As of January 2017, Ohio had the sixth-largest crude oil-refining capacity in the nation. The United States is likely to be a net energy exporter through at least 2050. The United States should also become a net exporter of petroleum liquids — oil and products like gasoline — after 2020. As presented by Marty Shumway of Locus Bio-Energy Solutions LLC at the 2019 Annual Meeting. Each year, the Ohio Department of Natural Resources (ODNR) Division of Oil and Gas Resources Management (DOGRM) compiles a report on oil and gas activities in Ohio. The average amount of oil produced was 2,593 barrels. The average amount of gas produced was 296.088 MMcf. The Ohio Department of Taxation has released their uniform formula for the valuation of oil and gas deposits in Ohio for tax year 2017. In 2005, House Bill 66 exempted producers from the tangible personal property tax. Since then, OOGA, the Department of Taxation and state legislators have worked to find a fair and equitable formula to replace this tax. Per 2006's budget bill (HB 699), this new formula was codified for the valuation of these reserves.